Lokai Bracelet makes a perfect gift for your loved one for Christmas.Enter to win one for your very own to keep or to give to one of your loved ones. The bracelet is infused with elements sourced from the highest and lowest points on earth. The white ball, caring water from Mt. Everest, and the black ball, holding mud from the Dead Sea, exist on opposite ends. A string of clear beads link the two, signifying that throughout life’s circular journey, your path is your own. 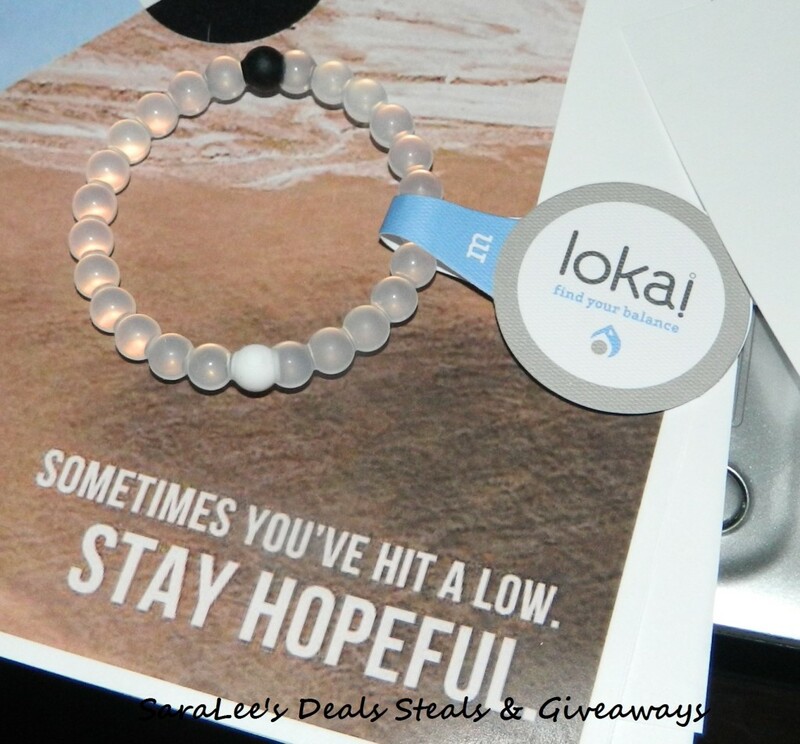 Now for the giveaway: One lucky person will win a Lokai Bracelet. This is open to US, 18+ and ends 11/24/2013 @ 10:59 pm est. To enter, Simply do the tasks on the Giveaway Tools widget below and you're set to have a chance to win! Remember you can't win if you don't enter.